Aisha’s Yoga journey has been inspired by Yoga’s celebration of individuality, and how that attitude can then be applied off the mat throughout our life experiences. Infinitely curious, she is passionate about finding ways to make complicated matters feel simple and attainable, especially when it involves understanding our bodies and thought processes. Her classes lead students through a fluid Vinyasa flow that blends playful challenges and nourishing movements, helping us connect to our untapped potential as well as our bodies’ natural ability to self-heal. She loves giving students the space to discover that they are capable of more than they ever imagined. With regular practice, students can expect to get stronger, move with mindfulness and ease (on and off the mat), develop a sense of playfulness, and feel uplifted as they start to increasingly believe in their own potential. Introduced to Yoga in April 2011, Batool was quickly inspired by its life changing beauty in working the mind and body. Her inspiration has quickly materialised to signing up for a teacher training in 2014 and receiving her certification from Namaste Bahrain. Passionate about core-strength, her teaching style is vinyasa flow and shares her love of Yoga in her classes. Her other interests besides yoga include traveling, reading and cute puppies. 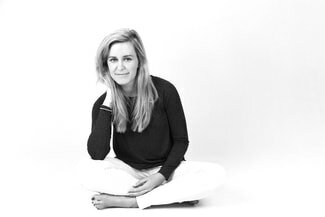 ​ Danielle Holding is a registered yoga teacher (RYT 200) and prenatal yoga teacher (RPYT) with Yoga Alliance. Having always led an active lifestyle, she was first drawn to yoga for the physical aspect of the practice. After her first class in Canada in 2010, she fell in love with how her body and mind felt after yoga. She explored different classes with a variety of different teachers, and yoga became a welcome break from a demanding career. 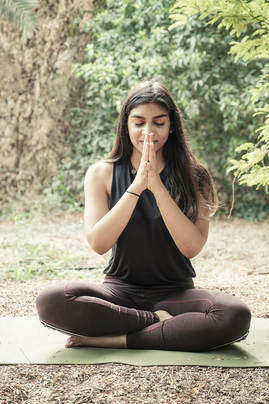 After moving to Bahrain in 2014, she began to deepen her practice and incorporate yoga into daily life, rather than just when she "needed a break". Danielle completed her 200hr teacher training at Namaste Bahrain in February 2016 and has been teaching and sharing the joy of practicing yoga ever since. In July 2017 she completed her 85hr prenatal vinyasa yoga training with Jennifer More. She hopes to help women see the positive effects a vinyasa style prenatal class can provide during pregnancy. Danielle is always eager to continue her yoga education, and takes part in workshops and training whenever she can. Danielle aims to provide a safe and encouraging space for every student attending her class. She enjoys teaching dynamic vinyasa flow, restorative, and prenatal classes that incorporate breath work, alignment, and finding balance in body and mind. She also enhances her classes by using essential oils for aromatherapy. Apart from yoga, Danielle is a prairie girl at heart who loves spending time with family, friends, and planning life's next adventure with her husband. She enjoys spending time outdoors in nature, travelling, cooking wholesome food, and has a soft spot in her heart for animals. 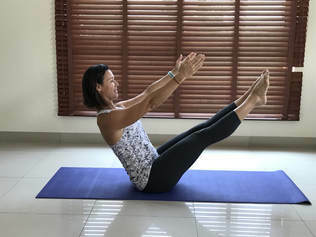 Following a own practice of more than 10 years in both Yoga and Pilates with different teachers from various horizon, Frederique decided to become a teacher herself to share the wonderful benefit of both practices, as she believes that Yoga and Pilates could benefit everyone. She is very active and busy in her daily life, and yoga allow her to stay connected. Graduated from BASI® Pilates (Comprehensive Program) in 2016 and Registered Yoga Teacher (RYT 200) in 2017. 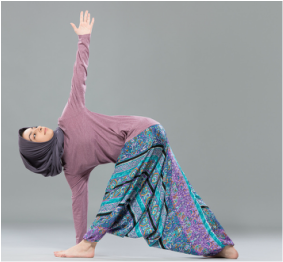 Ismahan began her yoga practice more than 10 years ago; experiencing insomnia during the time she was obtaining her masters degree, someone suggested yoga, and it worked wonders. Many years later, Ismahan left an investment banking career, and in her journey to find a well balanced life, she stumbled onto yoga again, but this time with more curiosity and commitment. “The best way to learn something is to teach it’ she once read. Although she initially took her teacher training to deepen her own practice, she realized there is nothing sweeter than to share a part of her heart with others. After leaving a corporate job and becoming a stay-at-home mum, Yoga gave me the space to rediscover my self and bring balance and knowledge to all aspect of my life. After 6 years of practicing Yoga and integrating its philosophy in my lifestyle, I wanted to share the joy with others and show them the way to this beautiful practice. environment where magic, fun and wonder are discovered. Lucy is a qualified Groovykids yoga teacher. She is an experienced yogi having practised yoga on and off since childhood when she practised with her mother. She has lived in Bahrain since 2009 and the Middle East since her early school days. 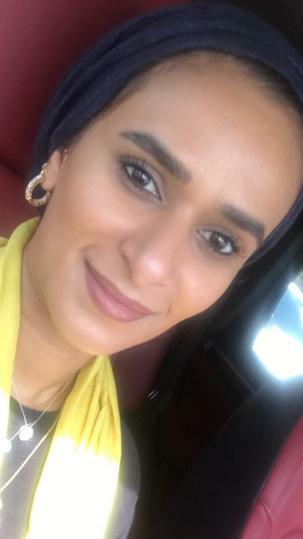 Lucy is an experienced education professional, having taught children in mainstream and special needs schools for a decade, and is now part of the senior management team at one of Bahrain’s leading international schools. Lucy holds British qualified teacher status and has a Masters in Child Development and Psychology. She aims to provide an open, safe and fun space for children to be themselves through movement and yoga. Lucy also enjoys spending time outdoors, and her favourite thing to do in Bahrain is to visit the island’s animal shelters with her husband, to walk the dogs and cuddle the cats! RYT 500 yoga teacher trained in multi style yoga in Hyderabad and Goa, India, with over 800 taught hours. My ultimate goal as a yoga teacher is to make my students feel good about themselves and about everything that surrounds them but also to help them create the right conditions for their bodies so that they can do what they are designed to do in life for as long as possible with as little pain as possible. 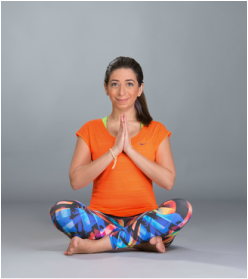 Maryam was first introduced to yoga in 2015 but only really committed to her practice after joining Namaste in January 2016. 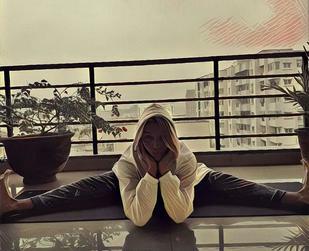 In the beginning, her yoga practice was a way to escape life’s daily chaos but somewhere along the journey she got addicted to that ‘yoga high’ that just kept me going back to my mat. 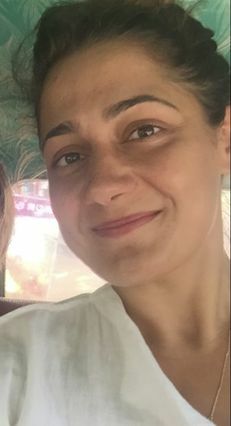 To Maryam, Yoga is about being more herself and she believes that there is no greater gift than to be comfortable in your own skin and at peace in your mind. The perfect yoga class for Maryam is one where you have a good old sweat session but also get the chance to sit still and observe. When she not practicing yoga on the mat, I’m striking poses on a paddle board, cycling and spending time outdoors. Starting at young age, Ranya has always been passionate about fitness and trying new activities, after being frustrated and getting injured from different sports, she finally found Yoga, a practice that satisfied her need for a rush and the same time balance the mind. At age 17 her love for Yoga began and ever since she has been learning from different teachers and continues to learn as her journey goes. What drives her is her love to help others with their journey because of how much Yoga has helped her with physically accepting her body, and mentally as well as Yoga gives you a fresh perspective of what is important every time you step on the mat. Sara’s ever evolving yoga journey of moving with injuries, pregnancy, and motherhood has taught her that the only constant is change and one size definitely does not fit all. Sara’s approach to yoga is one that honors that inner voice and encourages a deeper connection with the body to cultivate a practice that is nourishing, intuitive and transformational. She is a certified prenatal and postnatal yoga teacher (RPYT). ​Sara's journey began in 2012, while training to be a paediatric nurse in the UK. She completely fell in love with yoga and knew it would be important in her life from the very first class. Since arriving in Bahrain in 2015, she had committed to a regular practice at home and at Namaste. During a yoga break to India, her passion for yoga deepened leading to me qualifying as a yoga teacher with Namaste in February 2018. It was such an amazing experience and one of her happiest achievements. Sara found Yoga to be healing, strengthening and calming. It has given her a better posture, aided sleeping and boosted her confidence. Sara aims to share those elements in her teaching style. Her classes are fun, strengthening and grounding vinyassa flow classes. Her focus is on how to connect the mind and body. ​Certified Yoga Instructor and Reiki Level 4 Healer and the founder of Namaste. Weam's teaching style is fluid, creative and fun. 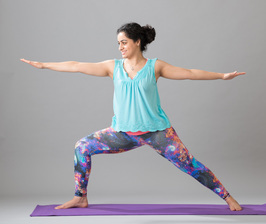 Her Yoga journey started in 2007 and nothing remained the same. Seeing how Yoga nurtured her life she left behind a demanding corporate job to dedicate her to guiding others and sharing their journey home. Namaste since has helped hundreds of students taste the sweetness of the Yoga practice. Her enthusiasm, curiosity, energy, compassion and passion are contagious. She believes that everyone has an "edge" and whilst she is a firm believer that this edge is very different for individuals, she enjoys watching people grow from taking themselves to places that both challenge and respect where we are at in our journeys. Weam encourages both the fun that comes with movement and peace that comes with stillness.